Since Google’s announcement that SSL may have an impact on your organic rankings last week, it’s caused a bit of a stir among the SEO industry. Bill Slawksi questioned its validity since a site’s content won’t change. Cyrus Shepard mused potential profits of investing in an SSL company. But my personal favorite? Never has a more accurate statement been said. The SEO industry, myself included, is a sucker for silver bullets. At one point in our careers, we’ve all looked for that one thing that will give us top rankings with convertible traffic for as long as we hope to have them. So whenever Google announces a new factor that will influence rankings, we obsess over it. 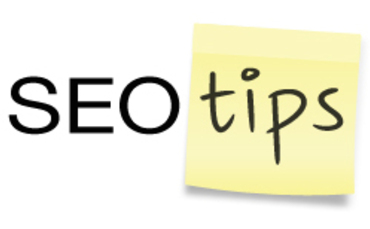 That means the link your users see, the link you use in your internal linking strategy, and the links you use in your XML Sitemap need to match. The most common mistake I see is having the canonical link still in your XML sitemap. If you update one, update them all. This isn’t about having an exact-match domain. It’s about making it as easy as possible for spiders to find your URL and read it. Limit the number of parameters you have. Use words instead of numbers. Use hyphens instead of underscores. Avoid subdomains when possible. It’s rare you’ll see a Web page without a copy block on it now, but far too often this content isn’t really content; it’s “SEO copy,” following some formulaic calculation with 300 words, three to five keywords stuffed in sentences, and five internal links with exact match anchor text. Break this habit. Good content doesn’t follow a formula. Write content that will actually help your users making a purchasing decision. Search engine spiders read pages very linearly and very literally. Live text, not hidden behind a div, not masked in links pointing to other pages, is the best type of content you can have. It’s how search engines know what your site is about in order to rank you. If a spider has to crawl through 100 links and 50 images before they get to the meat of your page, it’ll consider those things more important than the copy itself. Push your content up higher. Plain and simple. Link building is not, and will never, die, and a site that has better, higher-quality links will outrank a site that doesn’t (assuming on-page optimization is equal). Linkarati put together some great link-building resources to peruse through if you need a refresher. Notice this has nothing to do with keyword-heavy title tags. You still need a keyword in your title tag, and it still should be one of the first things in it, but stick to just one, maybe two. I’m also partial to including action words — Shop, Buy, Apply, etc — in my title tags, since it elicits an action that the user should take from clicking on my listing, rather than just a description of what they would find. The slower your site, the longer it takes spiders to parse your page. More importantly, users have lost all patience and won’t stick around for seven seconds just to see what you’ve got to offer. If you’ve made a lot of updates and haven’t taken a deep look at your code, chances are you have a handful of lines that you don’t need but that are taking up space, because when it comes to your technical makeup, every bit matters. This is by no means an exhaustive list, and since no one does SEO the exact same way, your top seven may look a little differently than mine. So, what did I miss? What do you think impacts rankings more than an SSL certificate?